Camera: Back (5.0MP), Front (2.0MP). where an i pick one from kenya? Please, my techno droipad 10D pro ii screen accidentally damaged, I need to change it is available and where can I get in Abuja Nigeria. Please I need tecno droipad 10 pro II to buy . I am in Ghana Accra. Am in zambia (Lusaka) which shop can i buy such a device and at how much? Am very impressed with the device content description. I enjoyed the conversations above especially solving customers’ compleints. i woudlike to buy Tecno Droipad 10 Pro II. I must confess that this is the best tablet ever, I’ve got 100% of what I need in a tab but I need to know how to use the OTG cable to connect a flash drive. Thanks. The OTG cable has a micro USB port and a normal USB port. Hello Editor. I went to Carlcare and m problem has been solved. Unfortunately I left the place without asking them how the solved the problem. once more, thank you so much for our assistance. I appreciate. Thanks for the advice Editor. I appreciate. Hello Editor. 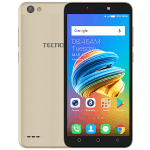 Please what’s the difference between TECNO DROIPAD 10 II PRO and TECNO DP 10A PRO? I have connected the pad with other devices successfully, but the keyboard cannot see or be seen by other devices. Thank you. The battery of the keyboard works, because whenever I switch it on, blue led light flashes for about 3 seconds, just as the instructions for Bluetooth pairing says in the manual. Editor, thanks once again for your prompt response. The tablet can be seen and paired with other devices, but the keyboard cannot, even when I switched it on. If this is a manufacturing defect, can you please recommend a technician, here in Kaduna, who can help put it in order. The keyboard Bluetooth is not seen by the device please. Thanks. But is it seen by other devices? Check if the battery of the keyboard works? Try and check for a switch to put on the keyboard. Thank you Editor, for your quick response to my complaints. I’m now using Etisalat on my new tablet, and both calls and internet browsing are working fine. However, I have done what you recommended, but the Tab’s Bluetooth still cannot see the Keyboards Bluetooth, so I can’t pair them, although it has been paired with other devices. Please assist, since I bought the tablet simply because of the detachable Keyboard. I really want to recommend it to my friends. Don’t want them to feel that I have deceived them if they find that the Keyboard doesn’t work as advertised. Thank you. Good Sir, But do you see the keyboard name in Bluetooth settings and it is not connecting or the keyboard Bluetooth is not seen by the device. I just bought one set of this tablet in Nigeria. Unfortunately both Glo and smile mobile networks couldn’t be configured for Internet browsing. Although Glo voice call is functioning, data facility isn’t. Also, the tablet’s Bluetooth couldn’t see the keyboard’s Bluetooth, so pairing could not be done. I need assistance from someone please. Try to switch it off and enable visibility for longer than two minutes which is the default on any android phone. I’m Isaac from Ghana. I encourage with this good job! Keep it up. I’m new to this blog and I’m very much impressed. Well I want to know the difference b/n the DroiPad 10 II (10A) and the DroiPad 10 Pro II. Thanks! Its a Tecno Droipad, you can get a pen (stylus) for it. I noticed that the 2MP camera is very clear,despite being 2MP. I think that sometimes, it's not all about the MP number, might be msitaken though. With the LED Flash available with Tecno Droipad 10 pro II camera, both back and front, the image or video taken will surely be clear. This is the first time I'm coming across Lolipop Remix OS. What does it mean exactly?